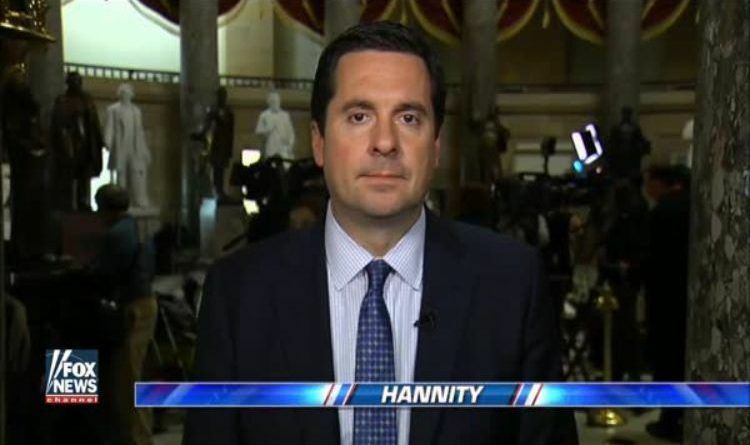 On Wednesday evening, Devin Nunes appeared on Sean Hannity’s show where he talked about the collection of the released text messages between the FBI’s Peter Strzok and Lisa Page. I a bold statement, Nunes correctly explained the existence of a Deep State crime cartel operating behind the color of Law within our federal government. He said to Hannity that Congress was in utter disbelief that the FBI was actually briefing the Obama White House on the Trump campaign. He went on to speak about all of the hype from the left, saying that they are comparing it to some of the biggest scandals in our country’s history. Of course, they did! Obama corrupted every agency in Washington. This was a dirty well orchestrated political attack on a candidate for the Presidency. Altogether this behavior amounts to treason on the part of Barack Obama and his cronies. Yet he’s still out there running his mouth and bashing Trump. Obama was using FBI, DOJ, RIS all as political weapons and still has the nerves to call out Trump for doing what he’s been doing all the time? Time to prosecute them for their felonies as threats to national security and put them in prison forever! Arrests and indictments need to happen fast, starting at the top, to restore law and order in AMERICA!